A conversation with Edison International CEO Pedro Pizarro. Edison International is the publicly traded holding company for Southern California Edison, the regulated utility, and a small array of non-regulated investments, plus Edison Energy. 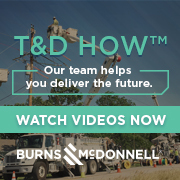 At eleven and a half billion dollars in annual revenue, and serving fifteen million customers, the company is one of the largest utilities in the country. Read excerpts of this interview here, or listen to the conversation with Tom Linquist.